Monique Steele « joDah Ministries, Inc. When Monique Steele sings, listeners consistently sense God’s presence. Her remarkable range and vocal dexterity allow her to vividly express her love for Christ. She has shared the stage with Earnest Pugh, Marvin Sapp, Darryl Coley, BeBe Winans, Donnie McClurkin, George Duke, Richard Smallwood, Joey Kibble of Take 6, Maurette Brown Clarke, Denyce Graves, and John Stanley, just to name a few. Monique has also performed as a soloist in Kenya, Rwanda, Uganda, Jamaica, Canada, and across the United States in venues such as The Kennedy Center. Monique currently serves as the interim Director of Music for 19th Street Baptist Church located in Washington, DC, the oldest black church in that city, and was blessed to perform for President Barack Obama and his family. 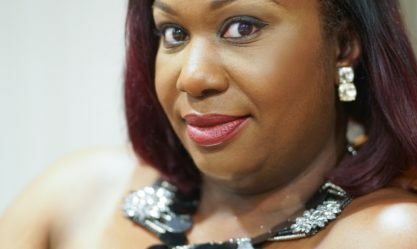 Born in Montreal and raised in Alberta, Canada, Monique was influenced by the music of both her Jamaican parents and the many styles of music available to her in Calgary. As full-time music ministry is not easy, Monique is soliciting your financial support in raising $25,000 to defray production-related costs as she embarks on her next studio project. Please join Monique on this new journey and sow a financial gift in the box below.